The pseudonym of J A Caesar who originated the current series of themed cryptic crosswords in The Spectator. Between 1971 and 1981 he was the sole setter of the Spectator crossword and produced 520 puzzles. Using the pseudonym of Knut, Rob Jacques sets crosswords in The Independent. Using the pseudonym of Julius, he sets crosswords in the Financial Times, his debut puzzle appearing in June 2016. Born in 1957 in Sheffield, Rob caught the crossword bug as a teenager from his father's weekly addiction to the Skeleton puzzle in the Sunday Express. Following a 25 year career in banking, Rob now lives in the Black Forest. Alex Jagger has set crosswords for the Financial Times (as Moodim). She lives and works in Cumbria. Jago is the pseudonym used by Jim Coulson for crosswords in The Listener series, Enigmatic Variations puzzles in the Sunday Telegraph, and puzzles for The Crossword Club. The pseudonym of Neil Walker for crosswords in The Independent. He made his debut in The Independent in July 2012. Eddie James sets crosswords for Private Eye (as Cyclops), The Guardian (as Brummie) and various other publications. Eddie, who lives in Birmingham, started setting crosswords in the 1970s. He turned 'professional' after early retirement from BT in 1995. The bulk of Eddie's crosswords are published in specialist magazines. With his wife, Jo, he contributes to, among others, Artists & Illustrators, BBC History magazine, BBC Countryfile, BBC Gardens Illustrated, Countryman, Geographical and What Investment. He also has puzzles on the Web, on the Chambers site and Music Room (classic alternating with pop). The pseudonym of the late Frank Blakesley for crosswords in The Guardian from 1968 to 2006. The pseudonym of Paul McKenna for crosswords in the Financial Times. The pseudonym of Brian Greer for Toughie crosswords in The Daily Telegraph. The pseudonym of Jane Teather as a crossword blogger at Fifteensquared). Derek Jewell and his wife Elizabeth edited nine books of Sunday Times crosswords published by Penguin in the 1970s and 1980s. Derek Jewell was better known as the music critic of The Sunday Times and as the presenter of Sounds Interesting on BBC Radio 3. He was also the author of several books about popular music. Tom Johnson, a retired teacher, has compiled crosswords for The Spectator under the pseudonym Doc since July 1981 and has edited The Spectator crossword since January 1999. Tom compiles puzzles as Anorak in the New Statesman magazine, Didymus in Prospect magazine, Maskarade in The Guardian, Gozo in the Financial Times and Busman in the Toughie series in The Daily Telegraph. He also sets cricket-themed puzzles for Wisden Cricket Monthly. Over the years has compiled puzzles for about a dozen puzzle magazines, and has compiled puzzles for every issue of the Puzzler magazine, reaching his 2000th puzzle in the January 2009 issue. Joker is the pseudonym used by John Grimshaw for Times Quick Cryptic crosswords. 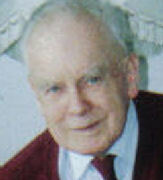 Melville Jones was a classics master at St Paul's school. He started compiling crosswords for The Daily Telegraph in the late 1920s and continued until the mid-1950s. As Warbler, Sylvia Jordan sets Toughie crosswords in The Daily Telegraph. A pseudonym of the late Mike Laws for crosswords in The Listener series. The pseudonym of Rob Jacques for crosswords in the Financial Times.